October’s LoveLula Beauty Box ..
Love Lula is a company i really love because they don’t compromise on quality and everything they sell is organic, i find myself more and more leaning towards organic products as they really do seem to work better for me as i have really sensitive skin on my face and my body and have found that cutting out parabens like SLS etc …really does make a massive and my skin is no longer still slimy with product after a shower or as dried out as it used to be! 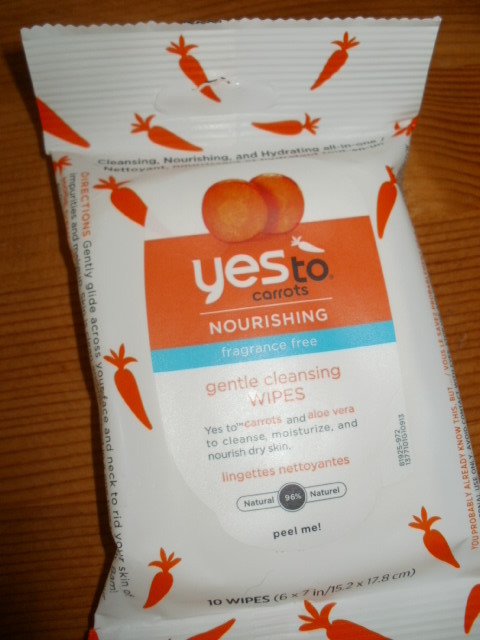 But these are organic and skin nourishing and should be ok i think, i will keep them for an emergency or a day when i am feeling overly lazy hehe, with ingredients like carrots (obvious i know) vitamin E, Pumpkin seed extract, lavender and Aloe Vera theres a lot of hydrating and soothing ingredients to be had from them. Next up is Green People, there is a few items from them, firstly is the line eraser(sachet), i already have this and it is fab, i use it on the corners of my mouth and top lip as i am proud to say .. an x-heavy smoker!! This zaps fine lines and wrinkles within 15 minutes and it really does make a big difference to my top lip, i olso use it around the outside of my eyes along the orbital bone when i am going out to help give me a bit more of a youthful look, you can feel this gently tightening on any areas you apply it, its pretty amazing stuff, even better that it is organic! It has 23 beauty enhancing active ingredients going to work on your skin to increase hydration and give powerful long term effects on lines and wrinkles, if like me you have fine lines around your mouth then this is a must have. The Next items are Age defy+ and it is a Purify and hydrate cream cleanser (Sachet) and gentle cleanse and makeup remover 25ml they are kind of similar really just one is geared more towards anti ageing, with Aloe Vera, Calendula and Shea butter they smell gorgeous and feel lovely and rich to move over your face and take the day off. 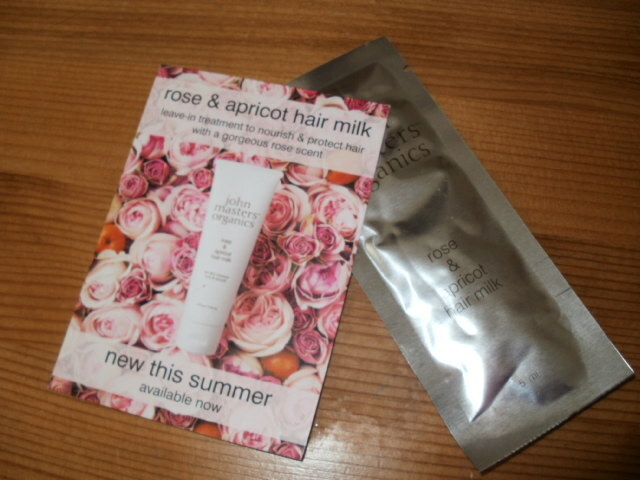 Hair Milk is a new product from John Masters, its a Rose and Apricot hair milk, sounded a bit strange to me but .. its actually like a creamy balm and great for the ends of my hair, smells like all JM products .. pretty darn good. It has calmed my curs somewhat but you can use it heavier as a light styling product, it’s nice to swish clean, fragrant hair around isn’t it? 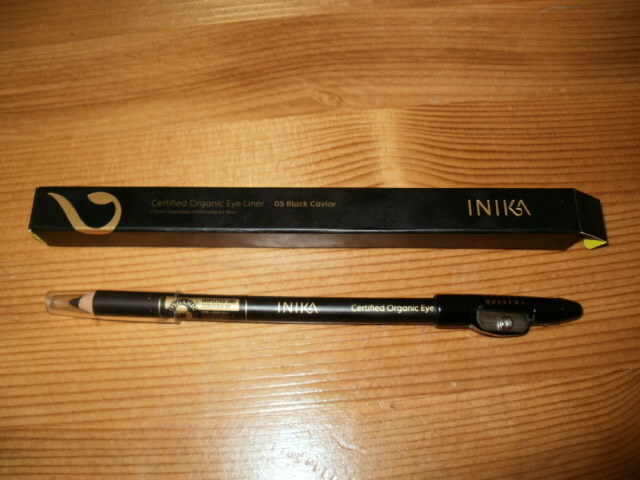 Inika certified Organic Eyeliner in Black Caviar, i have a few Inika products and they are really good quality, it comes with its own wee pencil sharpener on one lid, the texture is soft and buttery and i love my purple one by them. 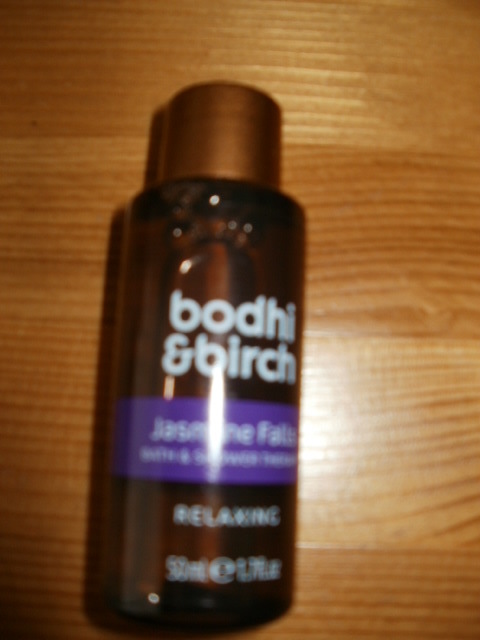 Last but my no means least is Bodhi and Birch Jasmine Falls bath and shower therapy, i just love a multi tasking product thats good for the body .. and the mind! This just smells incredible.. Jasmine Absolute and High Altitude Lavender are both high prized products in the beauty industry with the Jasmine Absolute being worth more than its weight in gold. They soothe promoting well being with coconut, kukui nut and shea butter to hydrate a lovely soak in this was really beautiful and the fragrance stayed about my flat the rest of the evening which i really loved. I always find this box excellent value for the £12.95 delivered, theres plenty in it and for organic products it really is a steal, it never fails to impress me of give me something different to try. Worth every penny in my book! 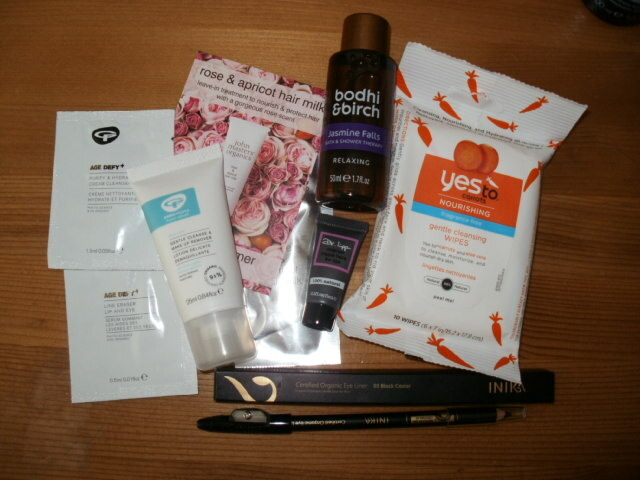 This entry was posted in Health and Beauty, Makeup, Organic, Vegan and tagged Beauty Box, Bohdi ad Birch, Dr Lipp, Green People, Inikia, John Masters, Love Lula, Organic, Yes to Carrots on October 10, 2014 by the40somethingbeautyblogger. What fab products. I love the sound of the eyeliner, it’s so hard to find a decent one that glides on smoothly.